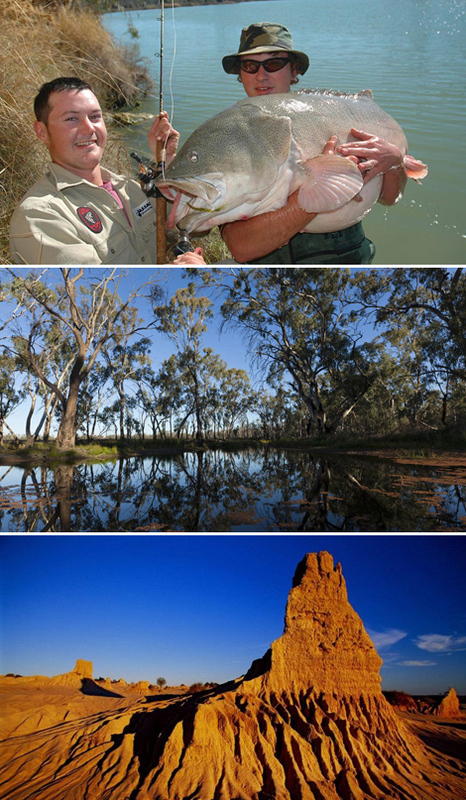 Attractions: Mungo and Yanga National Parks, Balranald Heritage Trail, Five Rivers Fishing Trail, Yanga Homestead. Located on the Sturt Highway as it crosses the Murrumbidgee River in western NSW, Balranald was founded in the 1800's as a paddle steamer port. The nearby Mungo National Park is Australia's first national park to gain World Heritage status. You can still see remains of human settlement from 60,000 years ago, and the unique landscapes and formations are truly breathtaking. You can step back in time at the Heritage Park in Market Street, or enjoy a picnic on the banks of the Murrumbidgee River. At nearby Euston you can enjoy boating, fishing and camping. You can even hire a houseboat on the Murray River to kick back and relax in complete comfort for a few days. www.visitnsw.com/balranald - NSW Destination Information. www.balranald.nsw.gov.au/visitor-information - Local Visitor Information. www.balranald.nsw.gov.au - Local Council Website.